« Ravens LB Scott Interested in Coming to Miami? While Bill Parcells says he is committed to the Miami Dolphins as their executive vice president of football operations through the 2009 season, he now has an unrestricted option to walk away from the team with his fully guaranteed salary, league sources said. 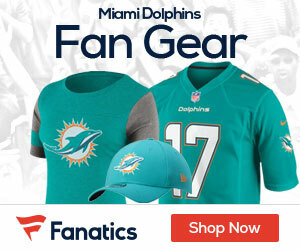 Dolphins owner Wayne Huizenga removed the previously reported 30-day escape clause prior to closing on the sale of the team Jan. 20 to New York real estate billionaire Stephen Ross, the sources said. The clause, which required Parcells to notify the team of his intention to leave within 30 days if ownership was transferred from Huizenga’s control, was eliminated from the contract about three weeks prior to the closing of the team’s sale.